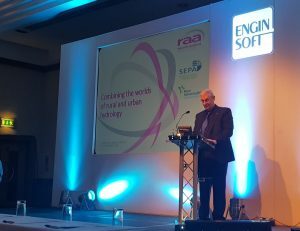 This year RAA sent one of the largest contingents in our history of sponsoring the event to the CIWEM UDG Autumn event in Blackpool, so we thought it would be a good opportunity to share our experiences and thoughts on the 3 day conference and exhibition. Kerry Foster and Richard Allitt co-wrote a paper on combining the worlds of rural and urban hydrology which examines the concept of combining fluvial and urban hydrology methodologies in one hydraulic model, which should be well advanced and readily used and yet there is little or no guidance on approaching this. Despite being the first presentation of the session on the Thursday morning following the previous evening’s dinner, the topic was well received and led nicely into the rest of the session that provoked some thoughtful discussion. 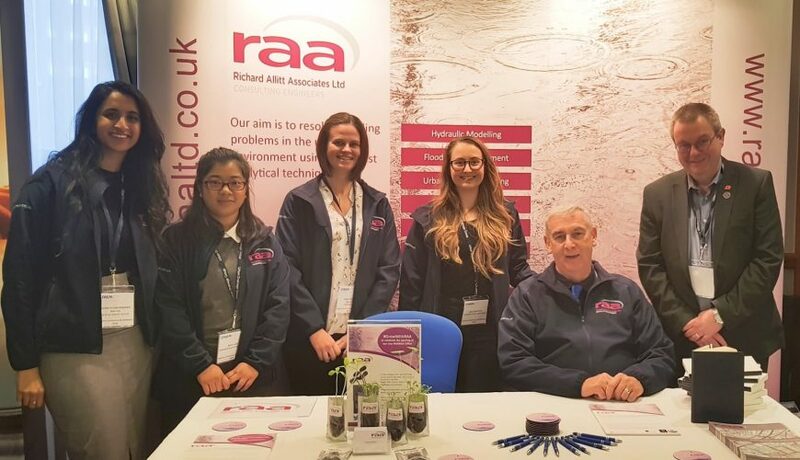 Hanna Kugachandran and Lydia Crowther have been with us for over a year as graduate hydraulic modellers, and stepped in when RAA were offered the opportunity to give an exhibitor presentation in the lunchtime break on Wednesday. 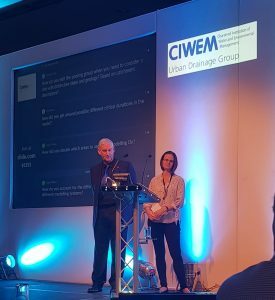 Drawing on their experiences of CIWEM events over the last year, Hanna and Lydia gave an inspiring overview of their activities and involvement spanning a number of events which tied in very well with the workshop held later that afternoon focusing on CIWEM membership. 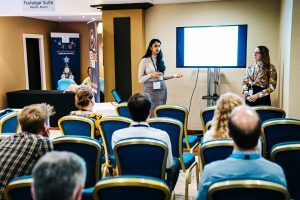 Both Hanna and Lydia have taken active roles in their route to membership with Hanna being on the UDG New Members Group committee and Lydia joining the CIWEM young professionals group. 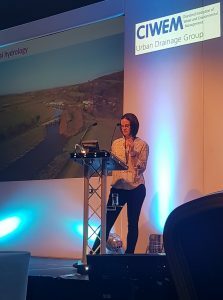 Both enjoyed the networking opportunities at the Blackpool event which allowed them to further develop relationships within the urban drainage industry. We were also very pleased that our plant pouches went down well with many delegates telling us how they were looking forward to taking them home to grow. Make sure you take a photo and post to twitter with the hashtag #GrowWithRAA so that we can see your progress!